Filled with natural ingredients that will give your skin a radiant, moisture rich glow. My colleague Joyce, loves New York City from May until late September but trade shows often have her there in January and March. The wind and cold weather used to slice and dice her face as she'd turn the corners leaving it dry, dull ashy and gray. After I created the Antioxidant Face Cream her face no longer suffers from the elements and is now smooth as a baby's bottom. This specially-formulated for black skin care cream is packed full of antioxidants to fight any and every sign of aging imaginable for women of color and it's Filled with natural ingredients that will give your skin a radiant, moisture rich glow. Avocado is a nurturing beauty aid used internally and externally. 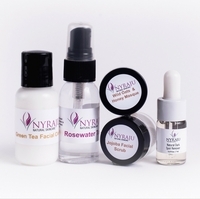 They revitalize, cleanse and hydrate your beautiful black skin giving it a smooth, soft, glowing appearance. Morning and night in colder climates and night time in warm/hot climates ... Squirt about a dimes worth into the palm of your hand. Take your finger tips and place the moisturizer on your forehead, cheeks, chin and neck. From your neck up, use upward motion and massage into your skin. Finish at your forehead bringing your fingers down around your hairline. Don't forget your ears. I meant to tell you earlier, my skin is absolutely GLOWING! What do you put in the Antioxidant Face Cream again? My husband looks at me all the time, however he said the other day "babe, man your skin looks good!" He said that he sees me putting this "stuff" on my face after I wash it, but he says he's been watching me do that for years and my face hasn't ever looked this good! I'm an African American woman that works in Alaska and to find a product that keeps my skin soft and moisturized is a real blessing. I was visiting my cousin in Texas and she uses your products and suggested I try them. 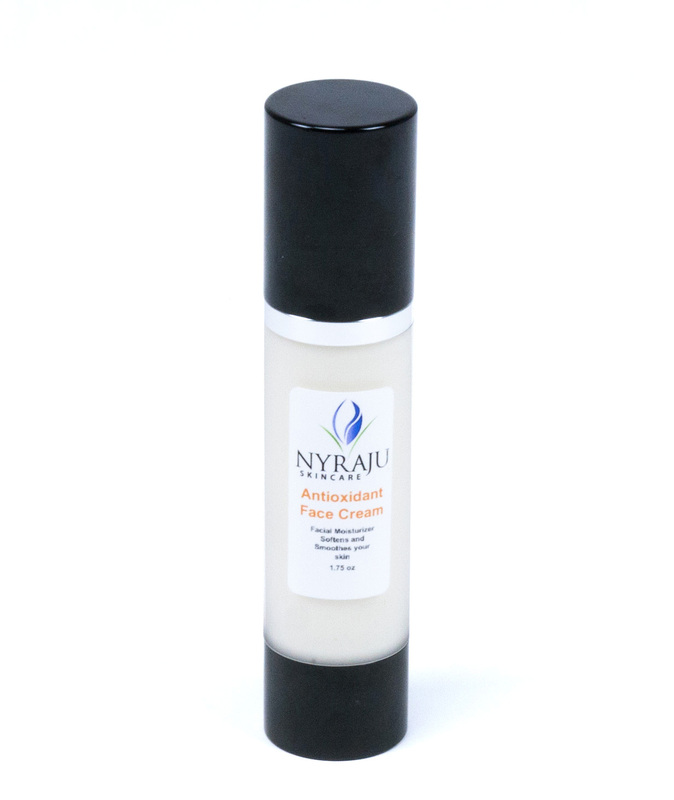 The Antioxidant face cream is perfect for my skin, especially when I'm in Alaska. It keeps my skin soft, moisturized and healthy. All this without feeling greasy.